Enter for your chance to win a pair of tickets to see The Metropolitan Opera performance of La Donna Del Lago streamed to a theater near you! Don’t miss this special encore event on Wednesday, March 18 at 6:30PM at a select Salt Lake City theater. Enter by emailing FathomEventsSLC@gmail.com with your name and mailing address with “DONNA” in the subject line by Monday, March 16 at 5PM. 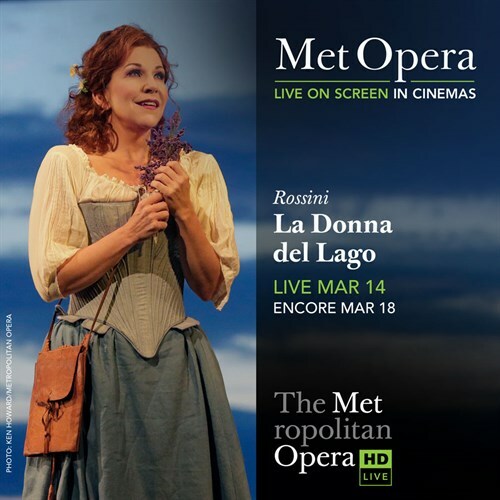 Visit fathomevents.com/event/met1415-la-donna-del-lago-encore for participating theaters and ticket information. Good luck! Tickets are good for one admission at the pre-specified theater chain on 3/18/2015 and guarantees you a seat at the theater until ten minutes before show time. Passes need to be exchanged at the box office. Tickets cannot be exchanged, transferred or redeemed for cash, in whole or in part. Late and/or duplicate entries will not be considered. Limit one entry per household. Winners will be drawn at random and notified via email with how to claim their prize by 3/16/15 at 5PM. No purchase necessary.